Well, it’s Friday, and no doubt many of our readers are wrapping up tough weeks at work. But folks, rest assured that no matter how many presentations you botched or flasks you were caught sipping from during important meetings (Susan in accounting is so damn judgemental! ), you almost certainly didn’t have as terrible a week as Megyn Kelly. 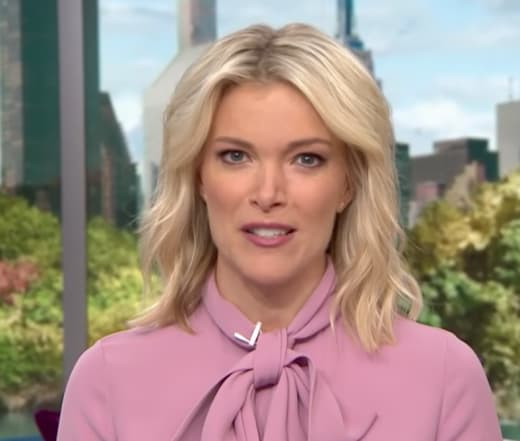 It’s hard to overstate just how hard Megyn bombed in her first week hosting the second hour of Today. It’s looking more and more like Kelly’s move to NBC will be remembered as the media equivalent of Crystal Pepsi – a costly corporate misstep that left the masses shaking their heads in disbelief that the big guys at the top could be so clueless. 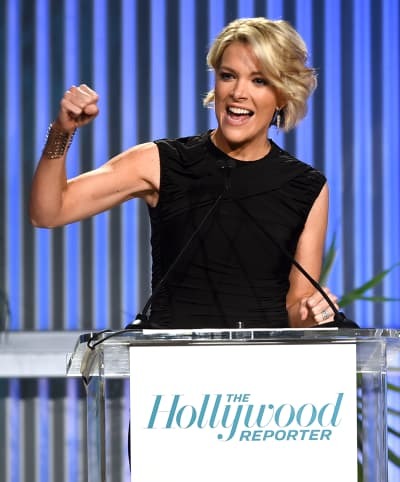 But before we get to the awkward interviews, the savage Twitter roastings, and the on-camera cursing, let’s briefly recap how Megyn went from Fox News firebrand to perma-grinning Savannah Guthrie impersonator. Kelly signed on with NBC back in January amidst continued shakeups and scandals at Fox. Many wondered how the politically-neutral-ish network would use Kelly, who made a name for herself as a mouthpiece for the far-right. And now it looks as though execs were equally unsure of where the 46-year-old would fit into their lineup. She started out with a 60 Minutes-style Sunday night newsmagazine, and while Kelly’s ratings were decent, her interviews with Alex Jones and Vladimir Putin drew widespread condemnation from her media colleagues. Sunday Night With Megyn Kelly is currently on hiatus, and its future is uncertain. But that’s fine, because Kelly is totally done with politics, anyway! Or at least that’s what she told her audience during her opening segment on Today Monday morning. Unfortunately for Megyn, it seems she was a much better fit in the political arena than in the world of weekday morning perk-peddling. The blunders started early and happened often. One day later, she got roasted by Jane Fonda for questioning the revered actress about plastic surgery in front of a live audience. “Given the fact that we don’t have a lot of time and [Robert Redford] is right here, it’s a weird thing to bring up – whether I’ve had plastic surgery or not,” Fonda said after the interview. “I have and I’ve talked about it. Seemed like the wrong time and place to ask that question,” the actress concluded. The slip-ups and awkward moments were so plentiful that a cameraman saying “sh-t” live on the air barely attracted any media attention. Kelly may have cut ties with the political world, but she’s brought the living nightmare/trainwreck vibe of Washington in 2017 to morning television. She’s basically delivering the Trump administration of morning talk shows. “I just want to take a moment to thank all of you so much for watching this week. It’s been very exciting. It has been educational. I’ve just been so delighted that the media response, which has really — no,” she told her audienc in an attempt at humor. For the record, the audience response had not been “awesome,” at least not according to the ratings, which have been in steady decline since Monday. It may be time for both Kelly and NBC to cut their losses. Kate Gosselin: Jon’s a Liar! ALL the Kids Live With Me! Corinne Olympios Breaks Silence on Bachelor in Paradise Scandal: I Am a Victim! Farrah Abraham: Gone Too Far With This Inappropriate Pic of Sophia?